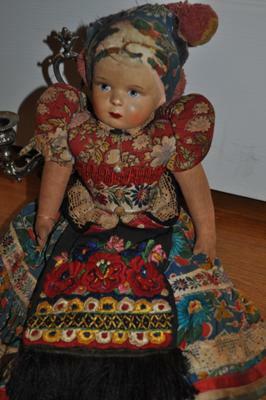 I don't know much about this doll except that she may have been purchased overseas, and is at least 60-75 yrs old. She appears to be composition, with jointed harms and legs made of cloth. No identifiable markings, but has original costume.